First, download the software required for the installation. 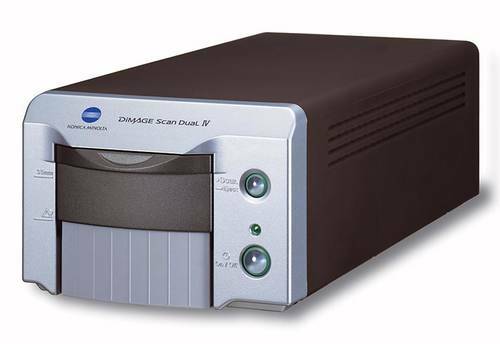 Download the Windows XP version of the DiMAGE Scan Dual IV software from the scanner’s home page. ; systems for all known Sony film scanners. Updating the driver requires your having to relax the digital signature restrictions on your computer temporarily, then restarting to ensure the restrictions are re-instated. I followed the instructions however it appears that I am unable to successfully communicate with the scanner even though Windows 10 says the driver is properly installed. I believe this is due to the fact that I am updating a 32 bit driver for my scanner and am using Windows 10 64 bit OS. Does anyone happen to have the correct Minolta Dimage 5400 II 64 bit driver that I could use to allow my scanner to work on my pc? What excactly have you installed successfully? Only the driver update or also the software? I consider to buy a secondhand one, but i’m afraid it will not work on windows 10. Here I read that it is possible but the software download and adaption seems difficult for me. Updating the driver I think I can handle. By the way, no ADBSetup.exe here, but worked anyways fine. I note with interest that you’ve been using VueScan and now want to try Konica Minolta Dimage Dual Scan original software – and curious what your comparisons have been so far. I am in the opposite position, having used the Dimage Dual Scan’s ‘original’ software for years on my Windows XP computer; and just recently experimenting with VueScan 64 on my Windows 10 computer. So far VueScan has proven to be faster and easier to use – but the scan results have been very poor compared to what I get with the original Dimage Scan Dual software. I’m scanning 1980’s vintage color negatives and slides and have experimented with all the adjustments, film types etc offered in VueScan (trial version). I get consistently bland and weak colors, often with ‘cold’ color balance – as compared to the same negs/slides producing much more vibrant and warm colors when scanned with the original Dimage Scan Dual software. Thanks, a!, for noting the missing executable ADBSetup.exe. I updated the link. It should work now. I am using Konica Minolta Dimage Scan Dual IV with it’s original installation Disk for years, through Windows 2000 and XP SP3, Then I upgraded my comuter to Windows 7 Ultimate and had to find and download the driver, But all these OS’s were 32 bit. Now I have Bought a new computer with i7 8th Generation CPU, 16 GB DDR4 RAM, Windows 10 Pro 64 bit and I am unable to use the negetive scanner any more though I followed all the steps described, disabled Windows 10 from preventing installation of 3rd party drivers, installed the “sonyscanners.inf” successfully as instructed, reboored, connected the Dimage scanner. Device Manager shows in property of “Minolta Scan Dual IV” as “This device is working properly” and the driver details are shown as “Windows\system32\drivers\ksthunk.sys” and “Windows\system32\drivers\usbscan.sys”. Then I started Dimage the scan utility. It showed “setting up” for almost 10 minutes then gave an error message “make sure no other scan utility is running” period. But that is all the scanner light keeps on blinking, cannot use it. Any solutions ? Can I use it if I use virtualization mode and load Windows XP SP3 32 bit and install the scanner there? I have thousands of negetives and slide which need preserving since the hot and humid weather in my region in India produces fungus on those. With your clear instructions I finally managed to get around the “could not confirm scanner connection” error (Error = 4). I am having the same problem. My computer sees the scanner (a Dual III) but the software doesn’t. What was the work around? Thanks. Thanks a lot.. it could be useful if I have to change my OS in the future. Dude, you are a life saver. When I right click on sonyscanners.inf, I do not get the option to choose Install. I wanted to express my thanks as well. I just installed and everything works! Works great! Thanks a lot. i tried it and it works. still i would recommend setting up a virtual machine with winxp. thaf works very well without playing with you precious win10 system. Worked like a charm! Awesome detailed info. The best out on the web for this situation. Thanks a bunch! THANKS A MILLION TIMES !! Does anyone out there have the slide tray that they would be willing to lend me for a time? I have a Dimage IV, but no tray. Ideally I would borrow one, take detailed measurements and make a 3d print file for others who have lost their tray. If so, I am willing to offer whatever assurances or collateral that you would want to arrange a loan. with windows 10 ver 1803, it works perfecly, thank you very much, we save a rubbish ant we do recycling of hardware. I”m looking the purchase the APS adaptor no.AD-10 or AD-100 to copy films on the Minolta scanner. Please contact me if anyone has one available. Hello everybody, after some years i try to bring back to live my scanner, but on windows 7 it did not work. No problem, because i still have an old windows XP laptop . However: the original drivers/software disappeared…. On several sites they give me links to the official minolta site , but the driversoftware is not available anymore. Can I just say a big thank you for this fix. I have a dual 3 scanner which I thought I would have to throw away. I tried your suggestion on my windows 10 machine and hey presto it works. 1. setup.exe already run. Scanner switched on, Windows detects device but fails to install driver. 2. Found the scanner through: Control panel > Hardware and sound > Device Manager > Other devices. 3. Picked the scanner, then right click to: Update Driver Software > Browse My computer for driver software. 4. Picked the folder containing sonyscanners.inf, Windows finds the file and warns about lack of digital signature, but lets you choose to install it anyway. Then restarted, and all done.